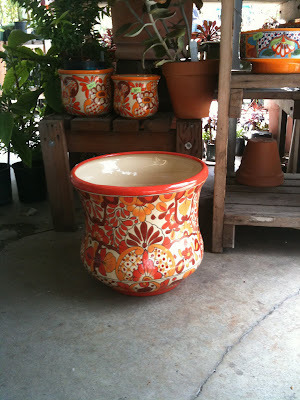 I love planting containers! I love how transformative containers can be. 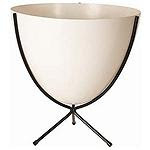 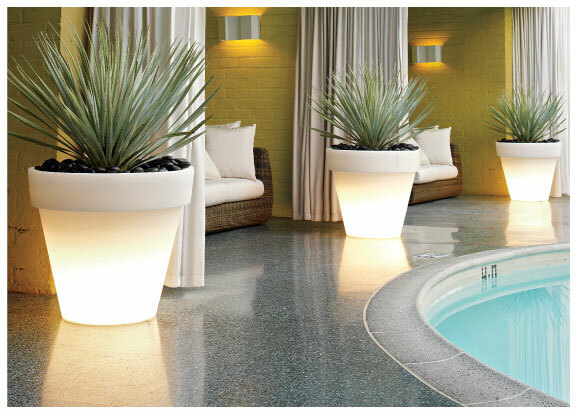 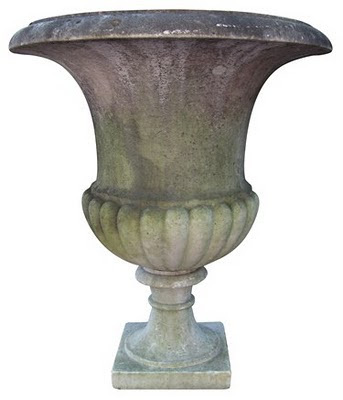 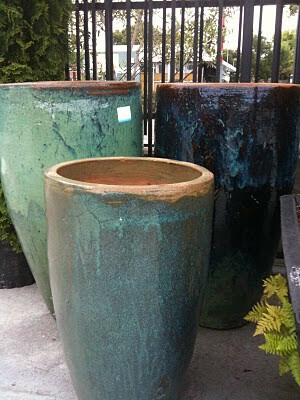 They can be works of art, or set the stylistic mood of a landscape or any outdoor space. 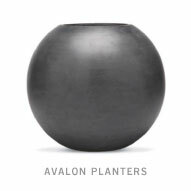 Everyone knows that after the holidays is a great time to shop for deep discounts. This is true for shopping at nurseries and pottery warehouses as well. 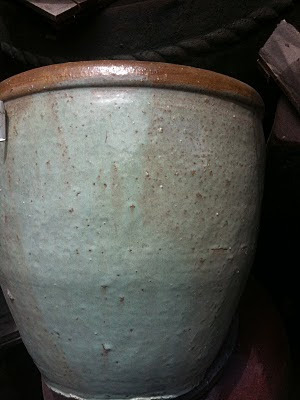 I've been amassing pictures of pottery that I like for a while now, and thought I would talk a bit about how we shop for and select our pottery for installations. 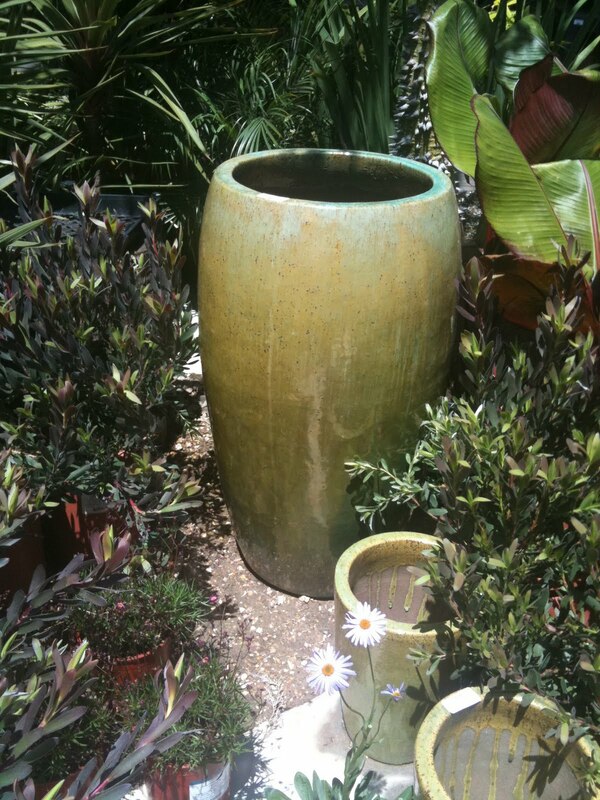 When we know we are adding some containers to a design, we first talk to the client about what style they are envisioning. This is often determined by the house style, the decorating style of the client be it rustic country or modern; house and trim color, hardscape material such as brick, tile, or flagstone, and type of plant that will fill the container. It is often more of a visual impact to have simple container displays--one or several large containers rather than a jumble of lots of small ones. 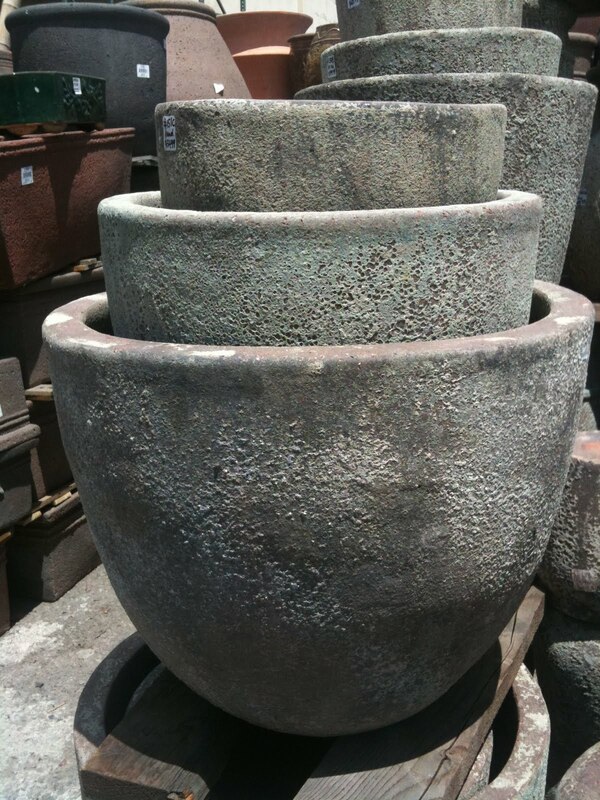 If doing an arrangement of several containers, we will choose the largest one first and select some smaller companion pots (if any) in complimentary shapes and colors. Some are obvious choices for certain styles of house or garden architecture, such as hand-painted Mexican pottery to compliment the Spanish style houses found in the Bay Area, or classic urns to compliment more formal Italian and French garden styles. 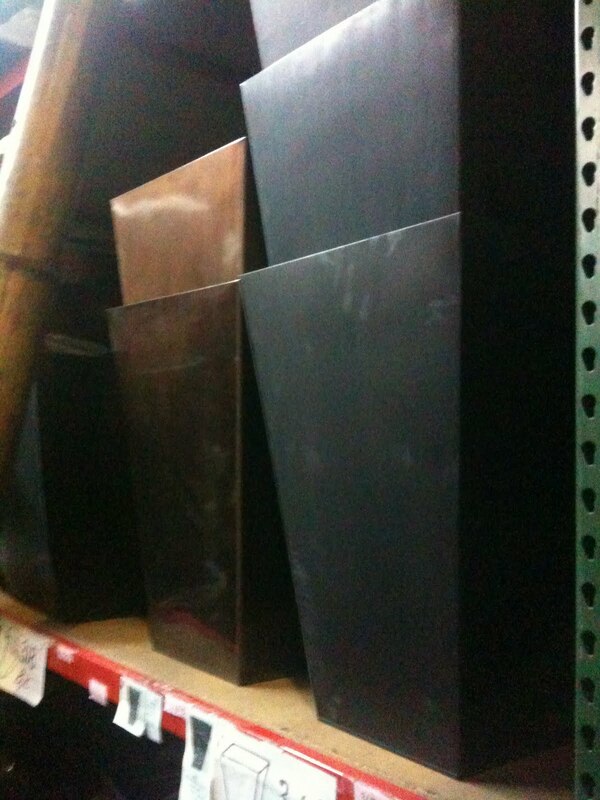 Or some spaces call for more contemporary shapes and materials. 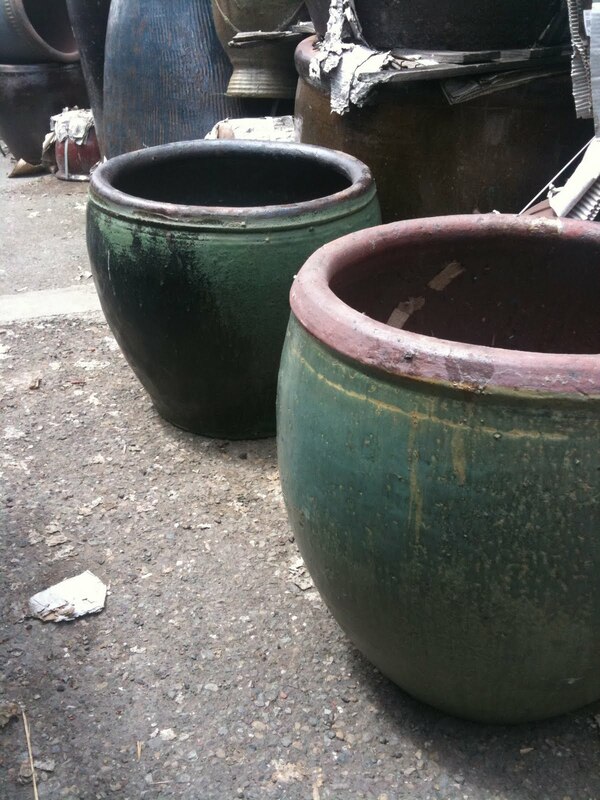 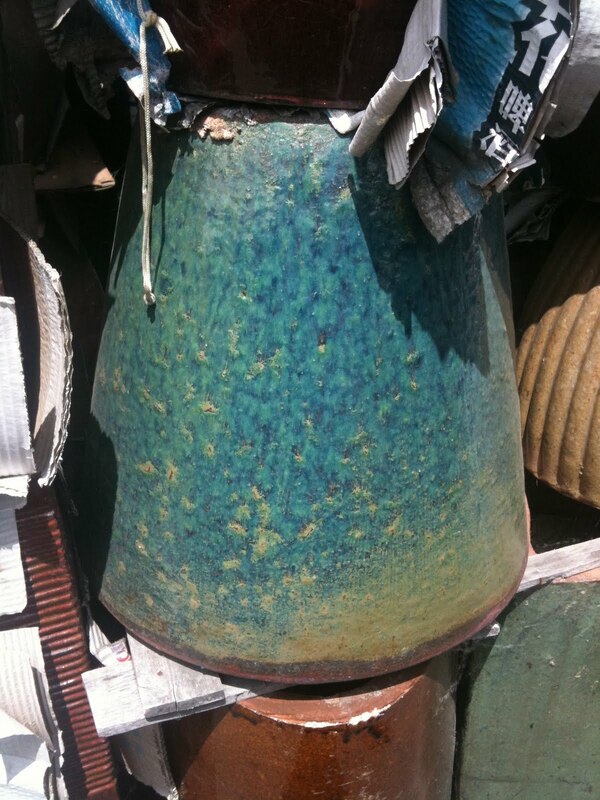 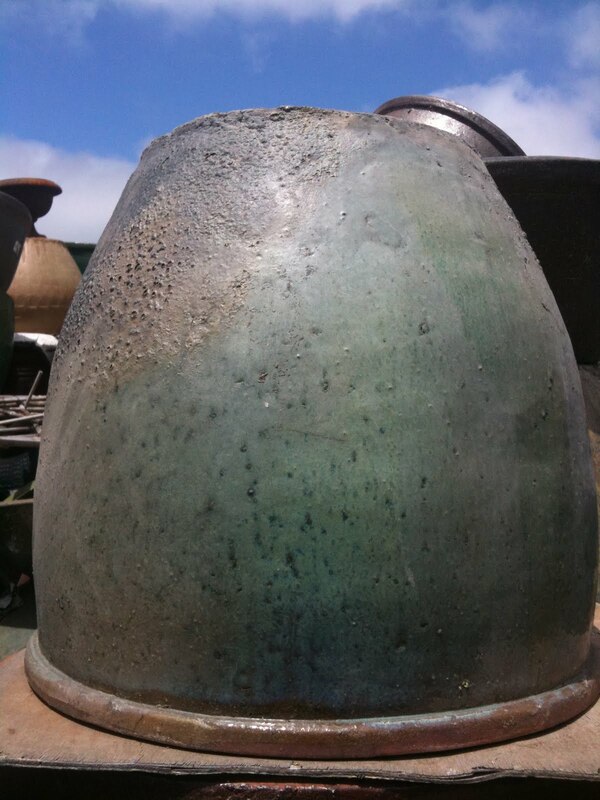 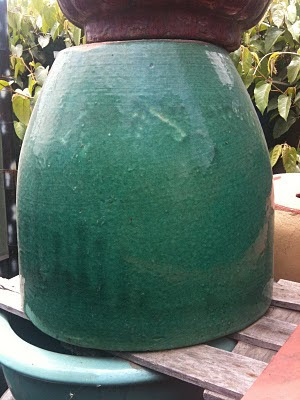 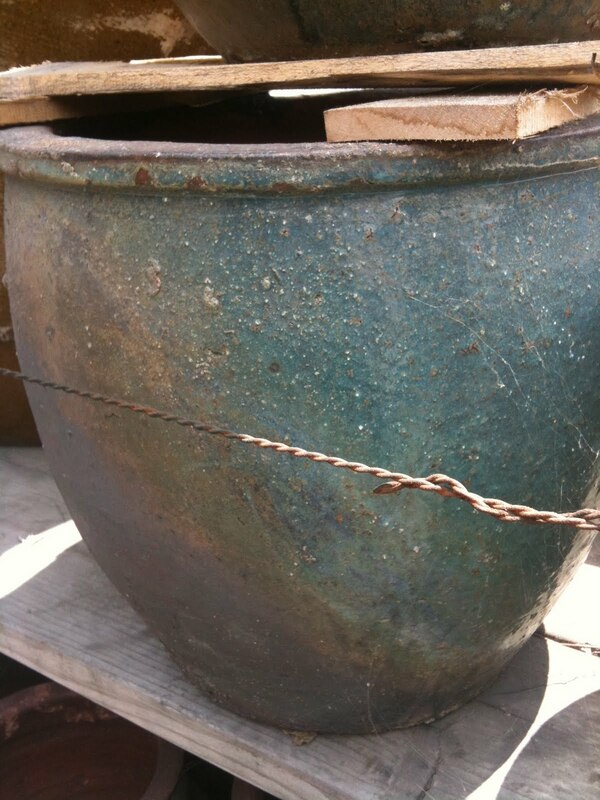 I particularly love the subtle blue/green/brown color shifts in some of these Indonesian pots. 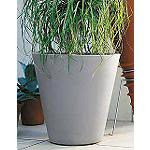 They seem to compliment a variety of house styles and work with many different shapes and types of plants, whether it be something upright and formal like an olive or a Meyer lemon tree, Asian-influenced like a black bamboo or Japanese maple, or informal such as a grass or a flowering perennial.